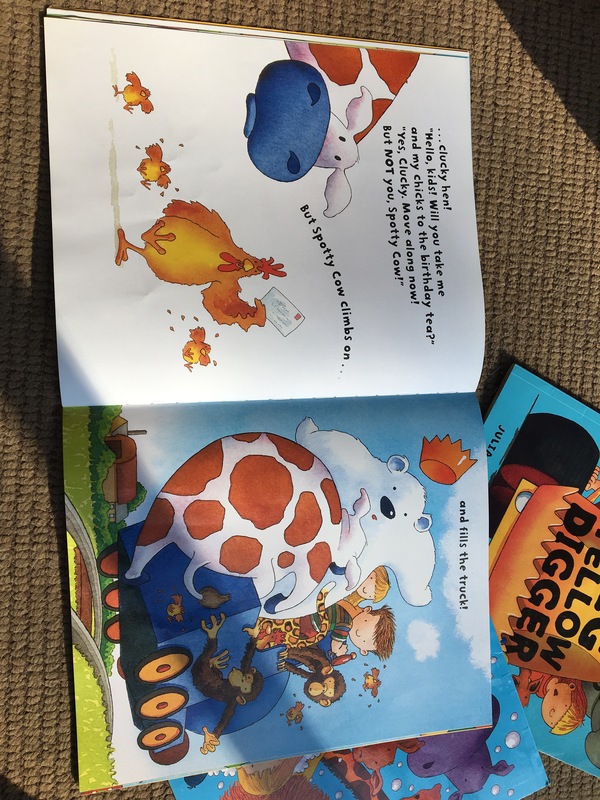 I have to share, and I apologise if that makes me slow, that I seem to have found the best kids’ books ever! Ever since Stevie was born, we’ve been lucky that her personal library has grown and grown. 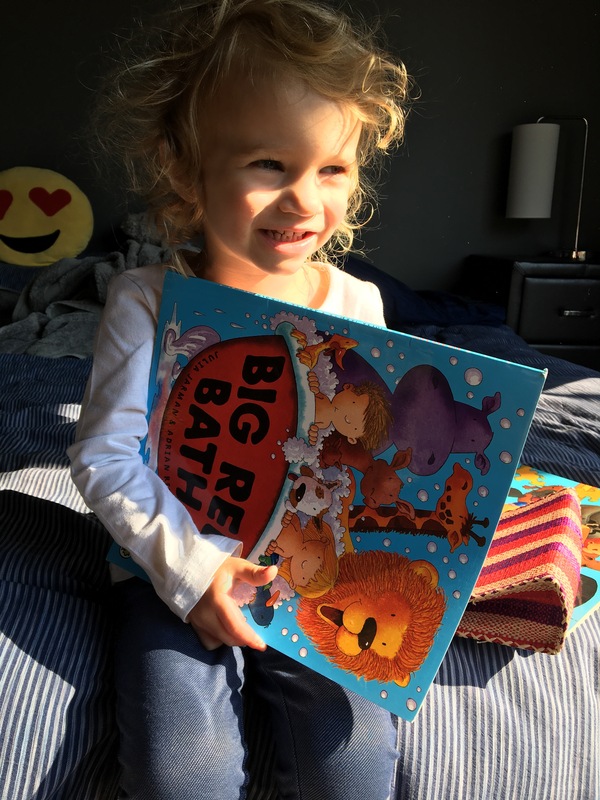 We’ve read pretty much every book in there, but, just recently, three books seem to stand out more than others, and she requests them EVERY day. Julia Jarman (a well-known children’s author) has teamed up with Adrian Reynolds to write a series of books about Ben and Bella, toddlers who have adventures with their every day routines. 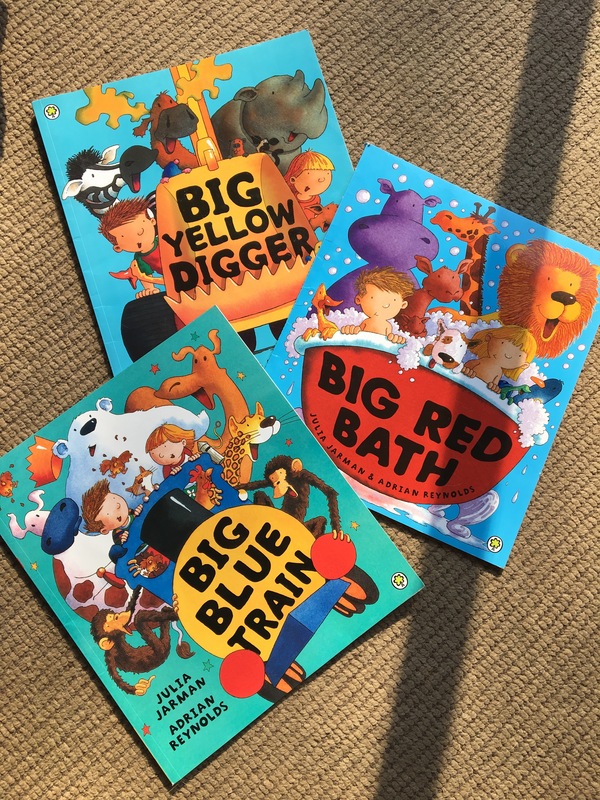 The Big Yellow Digger is an armchair, the Big Blue Train takes them to the jungle and the North Pole, and the Big Red bath goes flying. Stevie is animal obsessed, and on every adventure they encounter different animals (her personal favourite is the bear in the party hat, and she’s also fond of Kangaroo and her baby). 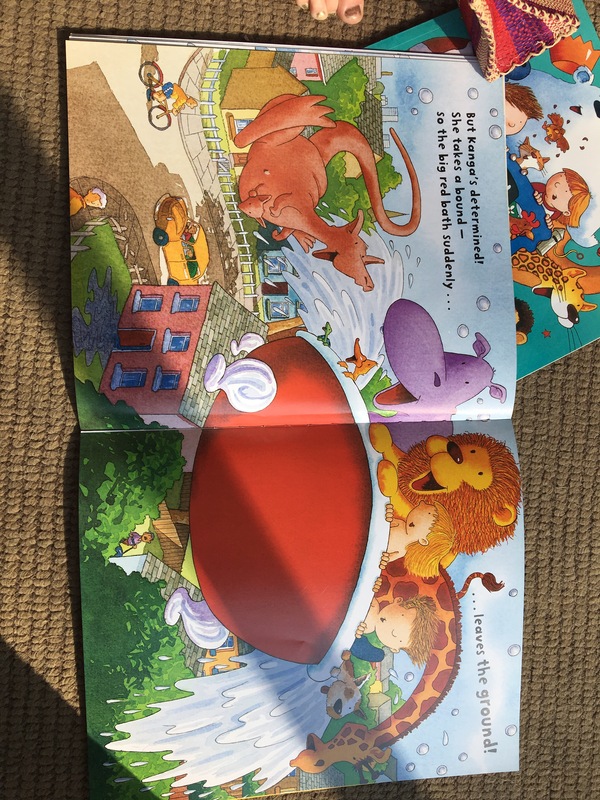 Each book is written in rhyming couplets with plenty of onomatopoeic words to keep children entertained (and easier for parents to read, especially if one of them happens to be dyslexic). If anyone ever asks, I’ll recommend these books to any parent. In the UK they’re available on Amazon for £6.99 each, and in South Africa you can find them on the Exclusive Books website for r155.